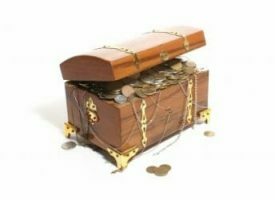 How can you find the unknown treasure trove left behind by the deceased parents or spouse or by someone for whom you are the legal heir? Bank: The RBI has mandated banks to publish a list of inactive or inoperative accounts for 10 years or more on the bank’s website. It is possible for the depositor or legal heir to claim such amounts by searching first on these criterions ; name and date of birth/ name and PAN/ name and passport number / name and pin code / name and telephone number. In case of claim by a legal heir, he needs to visit the nearest branch and submit the unclaimed deposits claim form. The form needs to be accompanied with valid identity and address proof of the claimant, copy of death certificate of deceased account holder. Shares: Listed companies have to identify and upload details of unclaimed dividend on their website. You shall have to visit the listed companies’ website and search for your parents’ details under unclaimed / unpaid dividend section. Detailed information is provided for the benefit of shareholders or legal heirs on this link. Alternatively you may write letters and emails to registrars like Karvy, Link Intime, Bigshare etc. Mention name, PAN No., bank account number, email ID & correspondence address. Mutual Funds: There are only three registrars, Karvy, CAMS and Templeton. You have to just write to these three with details of deceased member and ask for help to find out, if there are any investments done by the deceased earning member. If the results are positive you will have to get in touch with the relevant fund house with details for transmission of funds. The process to get the claim is not so complex. CDSL/NSDL are the two main depositories in India and now a days they send consolidated account statement of all demat shares, mutual funds & insurance and offline mutual funds. Writing to these might also help to find out where all the deceased earning members were having investments. Small Savings: For EPF it is very easy to approach the employers of deceased earning member and ask for the details. For PPF, RDs and other post office investments, you can visit the nearest post offices where ever your parents stayed or had office. Life Insurance: There is no central depository to get information on life insurance policies yet. There are 35 life insurance companies in India. You may draft a letter format and simply change the name and addresses of these companies and submit in respective branches locally in your city and follow up. Last but not the least; check each and every paper and document received by post. Also check some posts received at your old correspondent address. We seldom forget to change our addresses with old investments.